The Paris Agreement aims long-term goal of keeping the increase in global average temperature to well below 2°C above pre-industrial levels; and to aim to limit the increase to 1.5°C, since this would significantly reduce risks and the impacts of climate change. 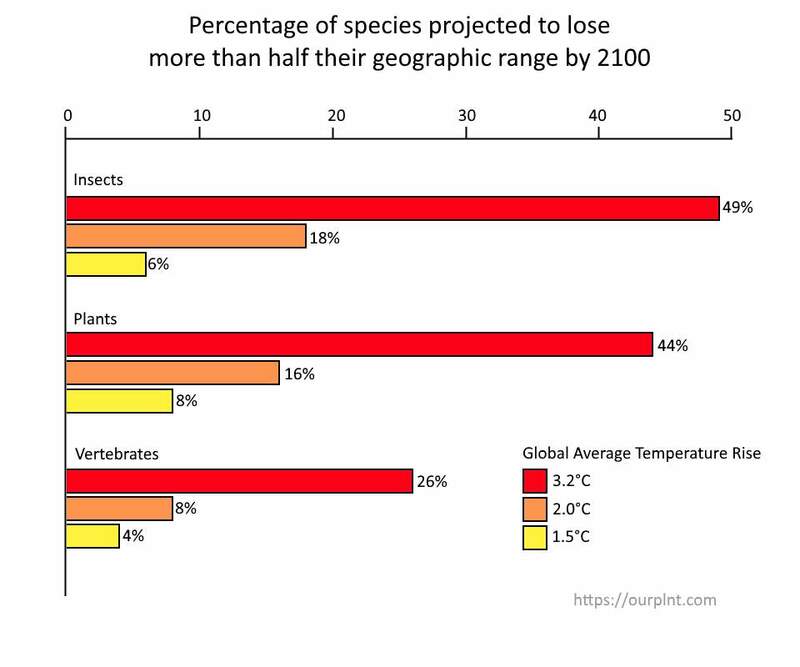 Percentage of species projected to lose more than 50% of their range by 2100, because of global warming. If we limit global warming to 1.5°C rather than 2°C above the pre-industrial levels by the year 2100, the impacts of climate change would be much less dramatic. Unfortunately, even if all countries achieve their current targets/pledges set within the Paris climate agreement, estimated average global warming by 2100 will be 2.6-3.2°C. Projected warming would be 3.1-3.7°C by 2100 based on currently implemented climate policies. And these numbers are bad, really bad. In fact, we are in the middle of the sixth major extinction event, called “Holocene extinction event”. 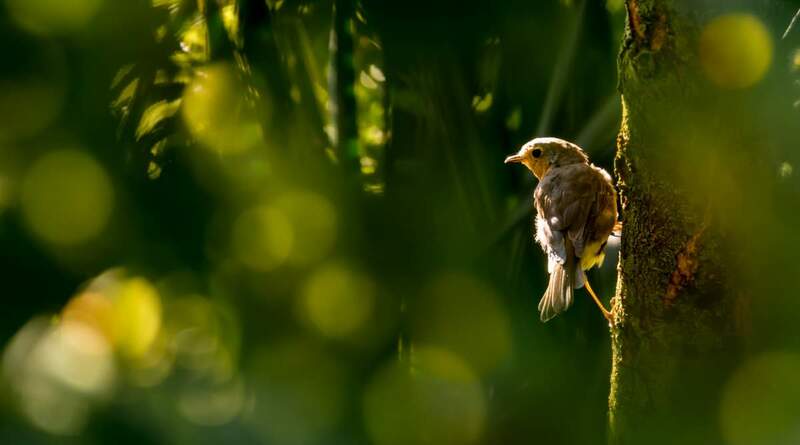 According to the WWF’s (World Wildlife Fund) new Living Planet Report (2016), now we are in the middle of the biggest mass extinction on Earth, since the dinosaurs, which was around 65 million years ago. And the world set to lose two-thirds of its wildlife by as close as 2020. Tyndall Centre for Climate Change Research, School of Environmental Sciences, University of East Anglia, Norwich NR4 7TJ, UK. College of Science and Engineering, James Cook University, Townsville, Australia. Study: “The projected effect on insects, vertebrates, and plants of limiting global warming to 1.5°C rather than 2°C” by R. Warren, J. Price, E. Graham, N. Forstenhaeusler, J. VanDerWal. Published on ScienceMag.org on May 18, 2018.